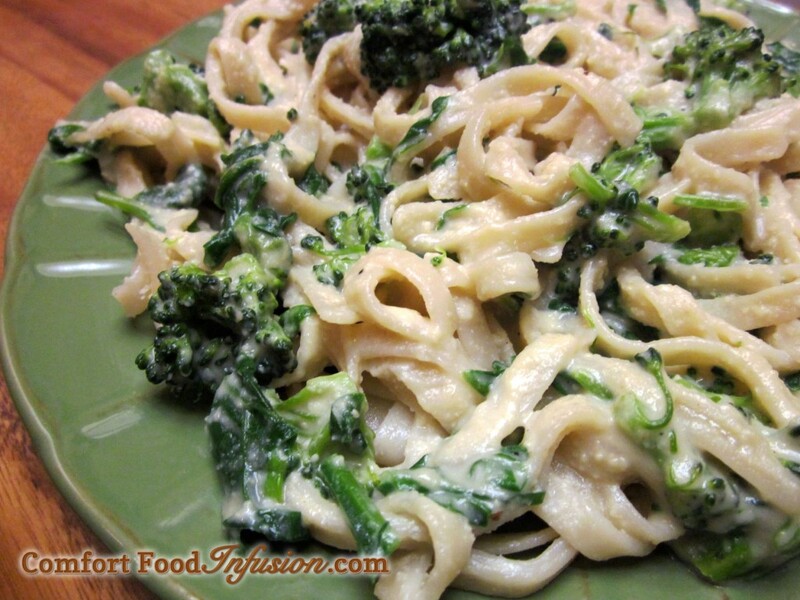 You won’t miss the gluten or dairy in this delicious pasta! 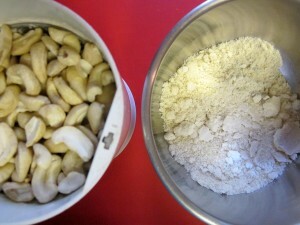 Blend cashews in food processor or coffee grinder. Add nutritional yeast, salt, pepper, mustard, lemon juice and water. A delicious and nutritious pasta, minus the gluten and dairy. 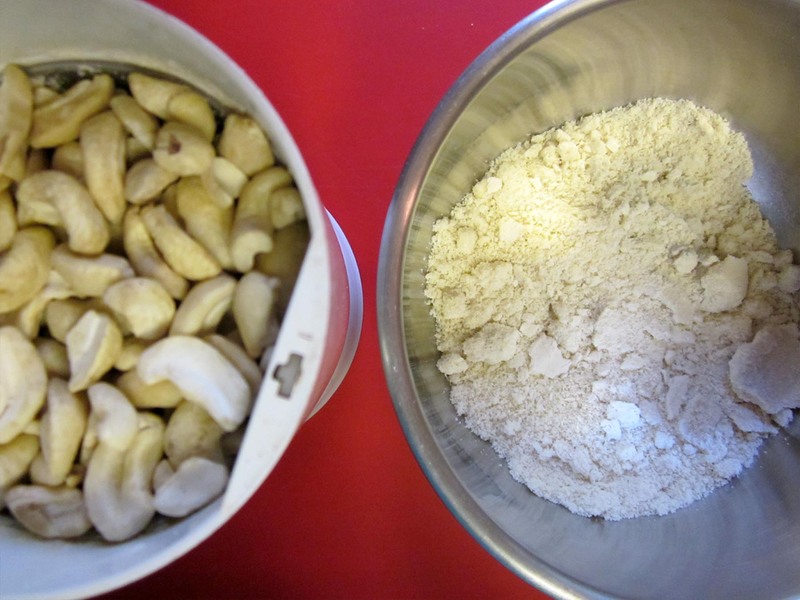 In a food processor or coffee grinder, grind raw cashews until a flour-like consistency. Transfer to a medium size bowl. Using a microplane or zester, grate the garlic cloves into cashew flour. Add to the cashew mixture, the nutritional yeast, mustard, salt, pepper, lemon juice and water. Whisk to blend. 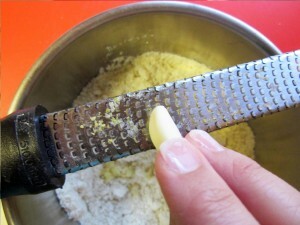 Place a fine mesh strainer over a medium sized pot. 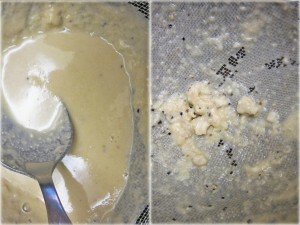 Pour cashew mixture into strainer and gently coax through with the back of a spoon. Discard any small bits left over. 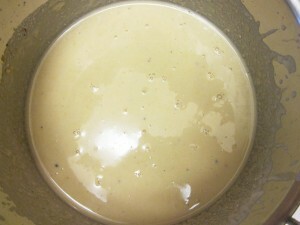 Heat cashew mixture, stirring frequently, over medium-low heat until just hot. It will thicken quickly, so remove from heat once desired consistency is achieved. Meanwhile, give broccoli and spinach a quick heat. Place in a steamer, or in a pot with a small amount of water, and steam until broccoli is just tender, and spinach is just wilted. Boil pasta according to package directions. Drain cooked pasta in a colander. Empty pasta into a large bowl or serving plate. Top with cashew sauce and vegetables. Give a gentle toss to mix.